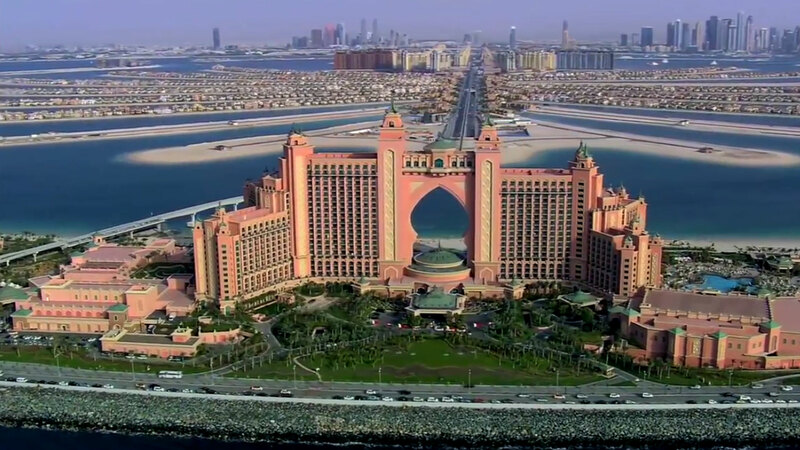 Atlantis The Palm (ATP) is the world’s ultimate number one among luxurious holiday facilities. Situated on a man-made island, it is distinguished by chic design and a multitude of extra attractions for its guests. The name itself of the complex refers to the mythical island of Atlantis and the innovativeness as well as out-of-the-ordinary character are inscribed in the brand’s DNA by nature. For all sensation-seeking visitors, the facility offers among others the famous dolphin bay, huge aqua park, 23 exclusive restaurants and even a glass sculpture by Dale Chihuly. The scale of the investment is enormous – the surface of the complex equals 64 Wembley football pitches! 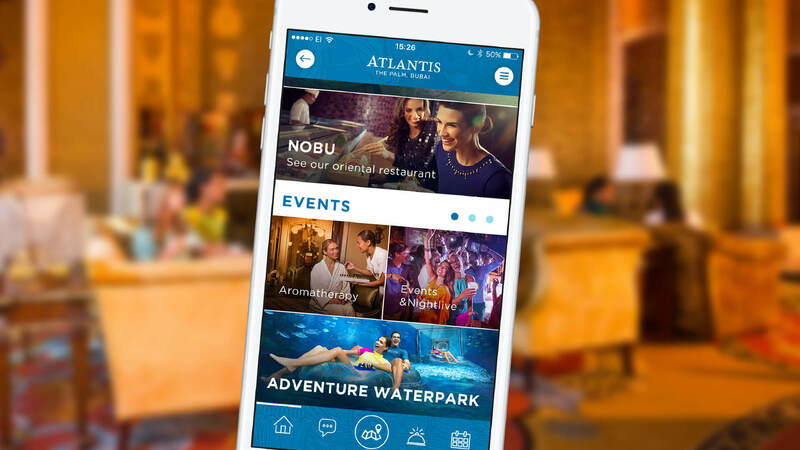 Innovative technologies are supposed to accompany the guests during their entire stay at Atlantis, The Palm. Target group analysis showed that the income Atlantis clients earn is above the average and that they appreciate novelties and amenities also while traveling. Searching for comfort and convenience, they are willing to manage their trips through smartphones and tablets. In order to respond to these needs, the hotel decided to implement the most innovative stay management system in the world. 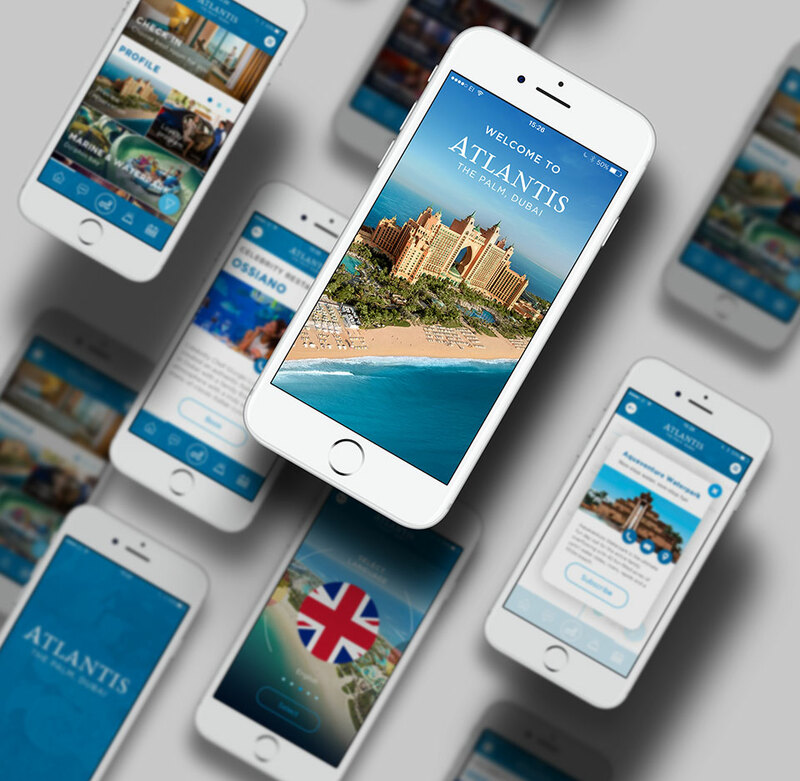 Creating the unique system as well as mobile application for the management of guests’ stay (iOS, Android) required customized attitude towards each design stage. 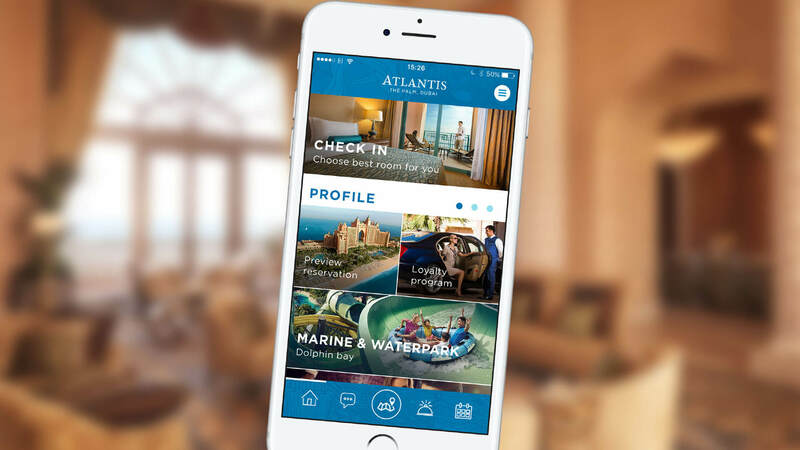 The challenges were concentrated around three aspects: the client (Atlantis), hotel guest and service. The Agency was implementing the project together with the Ailleron SA company, manufacturer of iLumio mobile solutions for hotels (ilumioapp.com). The aim was to create the system unique on the worldwide scale as well as mobile application for managing the stay of hotel guests for iOS and Android. The application was supposed not only to facilitate the organization of the stay and enable direct booking, but also to boost the sales of products offered by the facility (booking, services). The greatest challenge consisted in eliminating language barriers. Using the application was supposed to be intuitive, easy and pleasant. 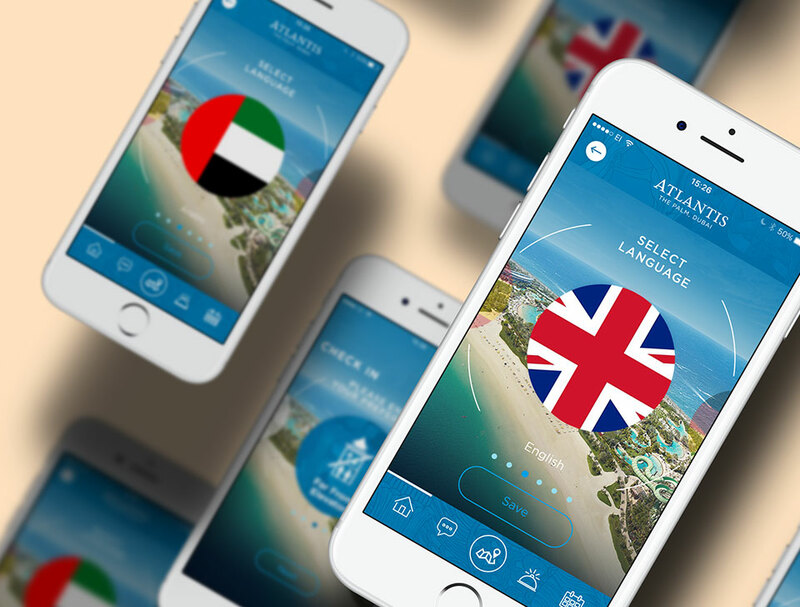 Each year, Atlantis receives guests from all over the world – it was thus necessary for the design to include over 10 language versions. Today the application makes it possible to get around the facility smoothly thanks to the use of innovative iBeacon and Wayfinder technologies. New application required integration with the website. Services were successfully improved (online chat with guests). 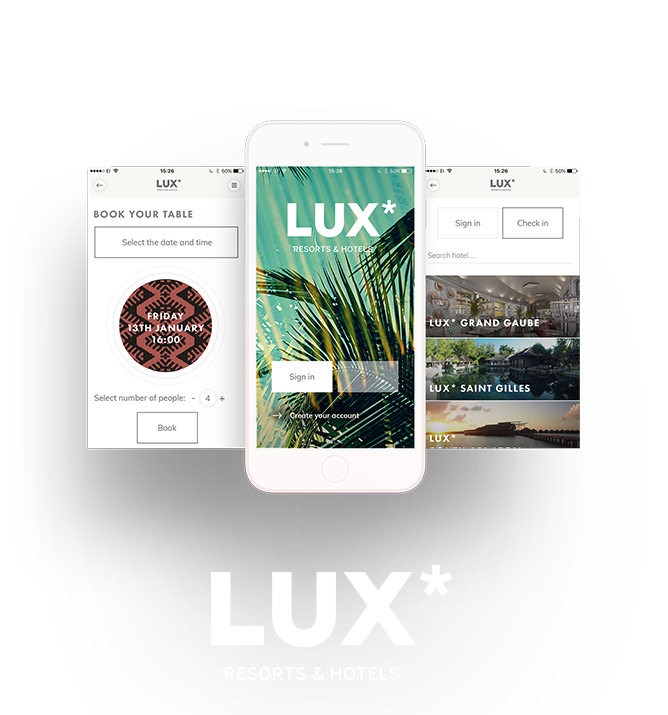 Thanks to the implemented changes, potential and current guests have the possibility to order all services directly through the application – without the need to contact hotel staff. Hotel guests will find all the necessary information also on 65-inch touch screens located in richly equipped commercial passages of the ATP hotel. Filtering events, navigation from one point to the other, useful timeline, events divided into days of the week, review of attractions – everything in one place. The Agency is responsible for Wayfinder’s concept and design as well as for dozens of views prepared for utility purposes. The UX aspect was of big importance, connected with positive user experiences – for this reason we prepared an intuitive, useful and clear layout which makes using such a big screen extremely convenient. Close cooperation with iLumio resulted in numerous successful projects. 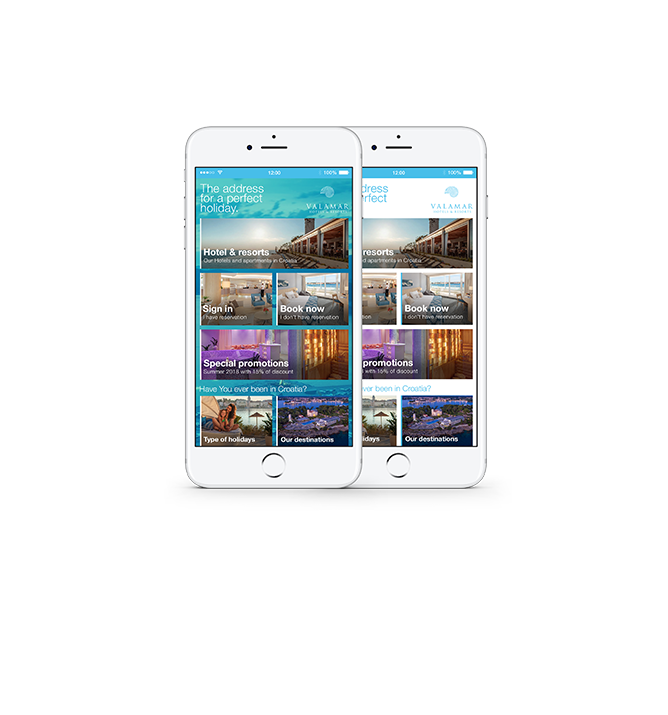 Together we have developed the application for the Valamar hotel network in Croatia, LUX* in Mauritius as well as for Rosevia Resort, Patio Hotel and Arłamów Hotel in Poland. We also designed the ilumioapp.pl website and prepared a lot of visual materials as well as case studies.